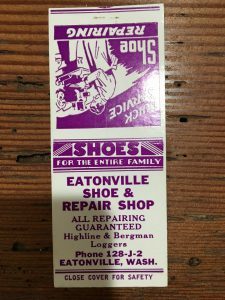 Matchbook covers were, and still are, a popular way to promote a business. 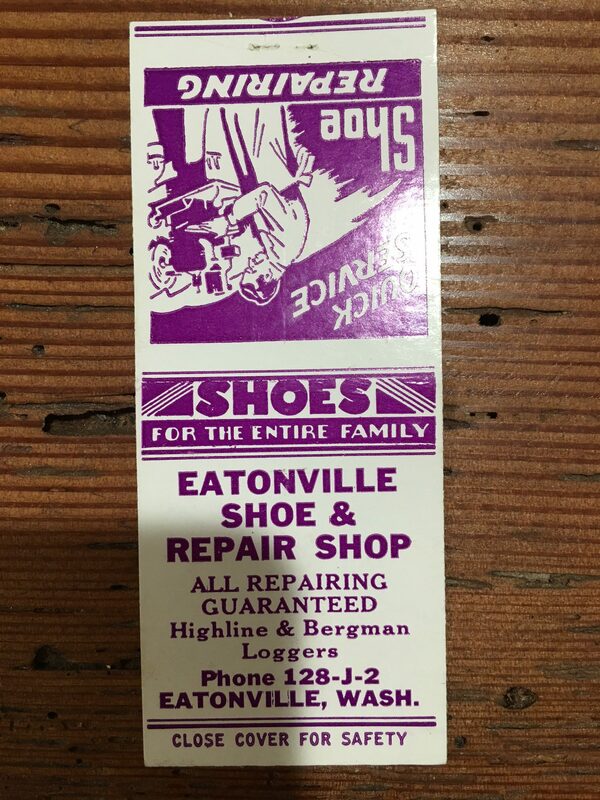 Here is a matchbook cover advertising the Eatonville Shoe & Repair Shop, probably in the 1940s. This is a time when logging was big business for the town because Highline & Bergman were known for their logging boots. And an easy-to-remember number 128-J-2.